Angie Turner’s chef-in-training, Hope, is enamored with her professor. 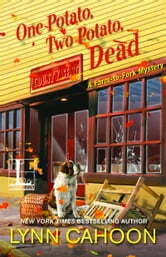 But, when the professor is found dead, and Hope is a suspect, Angie will need all of her sleuthing skills to find the truth behind the dead man’s lies. This was a great installment to a wonderful series. I love the family atmosphere Angie created at her restaurant. People can depend and rely on each other. I wish that workplaces in the real world could be as supportive. The plot was a steady-paced guessing game that will delight any cozy mystery fan. I received an Advanced Reader Copy of this book from NetGalley and am voluntarily reviewing it. Another fun and enjoyable visit to The County Seat with Angie and her friends. I really wish the restaurant was real-I would love to eat there...if I could get a reservation! The mystery was solid and had plenty of moments that kept me wondering who the killer would turn out be. I enjoyed the banter in the book especially between the Sheriff and Angie when he comes to tell her of the murder. That scene made me laugh. A quick and easy read with lots of fun along the way. I easily devoured this in one day! Highly recommend for cozy mystery lovers everywhere! I received this book from NetGalley and was not required to post a positive review. All thoughts are my own. A good cozy who-done-it with a "and why" twist. The Staff at The County Seat have become 'family' so when one needs help everyone pitches in. Felicia's boyfriend runs a homeless mission and the 'family' volunteer to create and serve a dinner. Holly is a suspect in the murder of a professor and everyone takes a turn hosting her while the police investigate. Angie continues to grow the restaurant while settling into her Nona's farm with her three animal pets. A Idaho Potato Pie recipe created by the author is included in this book. I volunteered to read an ARC from Lyrical Press (Kensington) through Net Galley. 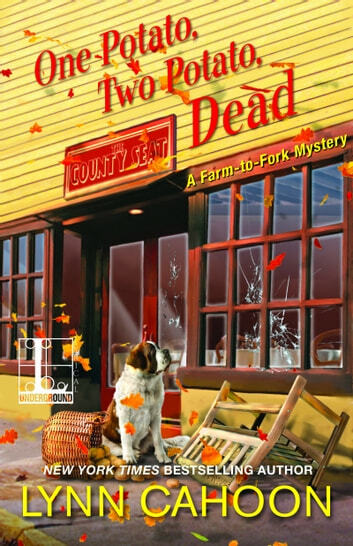 One Potato, Two Potato, Dead is the third book in the Farm-to-Fork mystery series by Lynn Cahoon. Lynn is a wonderful mystery writer. I read Lynn's books as “my bubble gum for the brain”. They are an easy, cozy, feel good read. Her characters are lovable and a bit quirky. Well worth a lazy day, relaxing read. This is the 3rd book in the Farm-to-Fork mysteries, and the first book I've read by this author. There were a few references to characters and events from previous books that I was unfamiliar with but I was still able to read the book without feeling too lost. I thought the first few chapters were a little slow moving but it did pick up about half-way through. The bad guy was pretty obvious but not the reasoning behind everything. All in all, I found this book to be fairly interesting and entertaining. I received a copy of this book from the publisher via NetGalley. My thoughts and opinions are my own and without bias.